A 5-year dream in the making for children's entertainer Susan Shane-Linder. 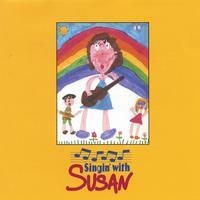 The family-friendly album features 10 cuts, 6 popular standards, and 4 original songs, especially for children 2-8 years old. My name is Susan Shane-Linder. I am a Miami-born Award Winning singer/songwriter and children's recording artist, and have performed professionally for 26 years. I am well known throughout South Florida in preschools, summer camps, hospitals, retirement homes and many organizations. I have taught music to the South Florida Jewish community for 26 years, most notably at Temple Beth Am. For 15 years, I served as Musical Director for the Dave & Mary Alper Jewish Community Center's Pre-school and Summer Day Camp in Miami, Florida. In September 2001 I took on a new position as Musical Director for the Nadel Center for Early Childhood Education and The School for Living Judaism at Congregation B'nai Israel in Boca Raton, Florida. In addition, I am past Director of the Temple Beth Am Singers, a choral group with which I've performed for Carnival Cruise Lines and Walt Disney World in Florida and at engagements throughout the United States. I am frequently found entertaining people of all ages at birthday parties, schools, bookstores, and record stores in the tri-county area. I am also a featured artist for the Pottery Barn for Kids Concert Series. I am also a past presenter at a number of children's conferences around the Dade/Broward/Palm Beach area, most notably at the JCECE Conference & for the JEC of Palm Beach. I've also presented and performed at the National CAJE Convention and at the NAEYC (National Association for the Education of Young Children) conference.